Independent Mold Testing and Inspections by MJB Services, Inc.
MJB Services, Inc. is locally owned and operated by Dr. Mark Banner, the mold expert. That means Dr. Banner will be the person inspecting and testing your home, not some local contractor hired by an out-of-state national company to do testing on their behalf. Because MJB Services is not connected to any mold remediation companies, you can count on us for unbiased reports and legitimate recommendations. 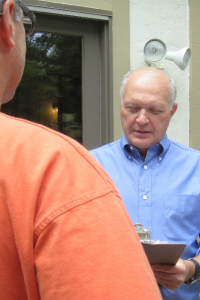 He has the Experience – Over 30 years in mold physiology, spore analysis, mold testing (including black mold) and inspections. What do Dr. Banner’s customers say? Find out more about Dr. Banner!